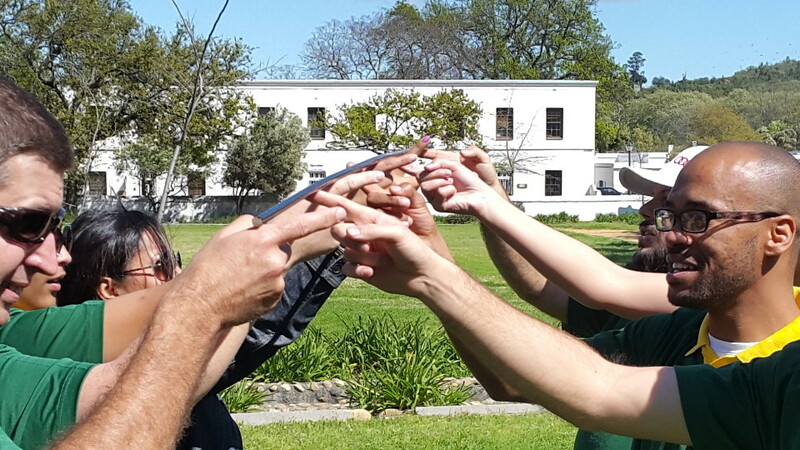 Everybody knows that team building is a must for every company with a vision to grow. Team building is a process of turning a group of individuals into a unit, equipped with skills such as good communication channels, trust between individuals, planning skills and honesty. The productivity of a well developed team can be astonishing. WHY does team building work? Different mediums of learning can be used. The one we believe to be the best, is the medium of experiential learning. We as people gain info through our senses, and that is how we learn. In the conference set-up for example, only two senses are used, namely sight and hearing. Through experiential learning all five senses can be used to their full potential. Not only that, since most of the activities are problem solving, success or failure can also be experienced, which means that emotions are involved. In this way you not only learn, but you experience things for yourself and understand them better. Adventureshop can offer you a dynamic teambuilding program. With 15 years experience we believe we have a good programme to benefit your company. Different options for different management levels have been put together. A program can run from a day, for lower management, to a weekend for top management. What sets us apart from other companies is the fact that we can provide you with the whole package, team building, transport, accommodation and even include incentive activities as well, not just team building. River Rafting Trips, Skydiving, White Shark Cage Diving, Weekends in the Cederberg or the Garden Route. These activities can be combined with team building activities or can be enjoyed on their own. Taylor made packages can be put together to meet your needs.